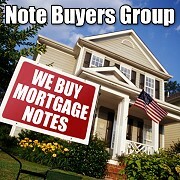 The Note Buyers Group (NBG) is a new Atlanta REIA educational and networking subgroup led by Tom Boyer (aka “Cash Flow Tom”) that is designed to teach real estate investors how to buy and sell the mortgage notes that secure a property rather than buying the property itself. The group’s goal is to transact deals within the group and increase our professionalism through education in a changing credit market. The group meets on the 4th Tuesday of each month from 6:30 PM to 9:00 PM at Olive Garden located at 2467 Cobb Parkway SE in Smyrna about 1/2 mile from I-285. If you are a new investor, this is a great opportunity to pick up pointers on what to do and what not to do when investing in notes. Cost: No Charge to Atlanta REIA Members. Are you tired of dealing with contractors, rehabbing; the slow market selling conditions, tenants, and land lording? What if you could invest in real estate without those problems or being hostage to lender approval of your buyer? Note buyers hold the mortgage, not the property, and receive a steady payment stream without all the hassles of investment property ownership. In good times, seller financing is typically used as a last resort to sell property due to the easy availability of conventional financing. Today the banks are not lending as readily and appraisals are hard to substantiate. You can be the bank, get “mailbox money” and let someone else deal with the property issues. If you would like to learn more about note buying, this is a monthly meeting you should definitely attend.